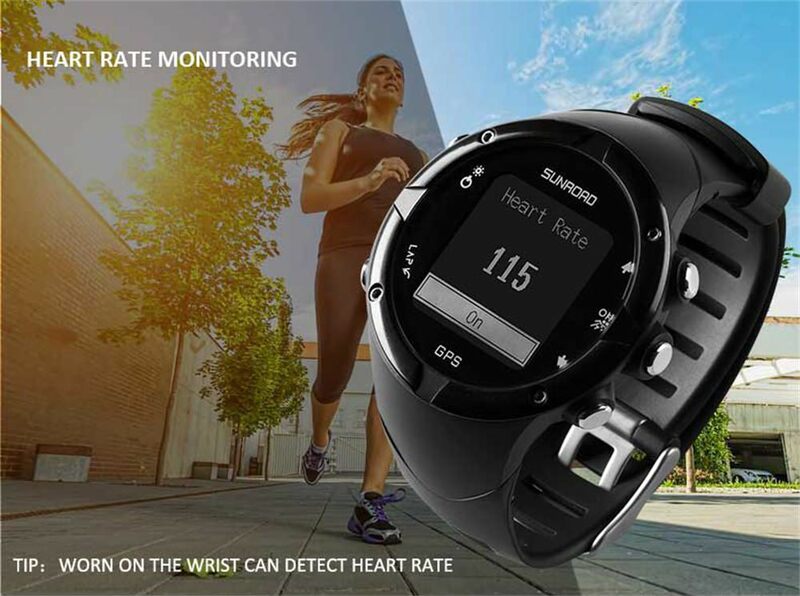 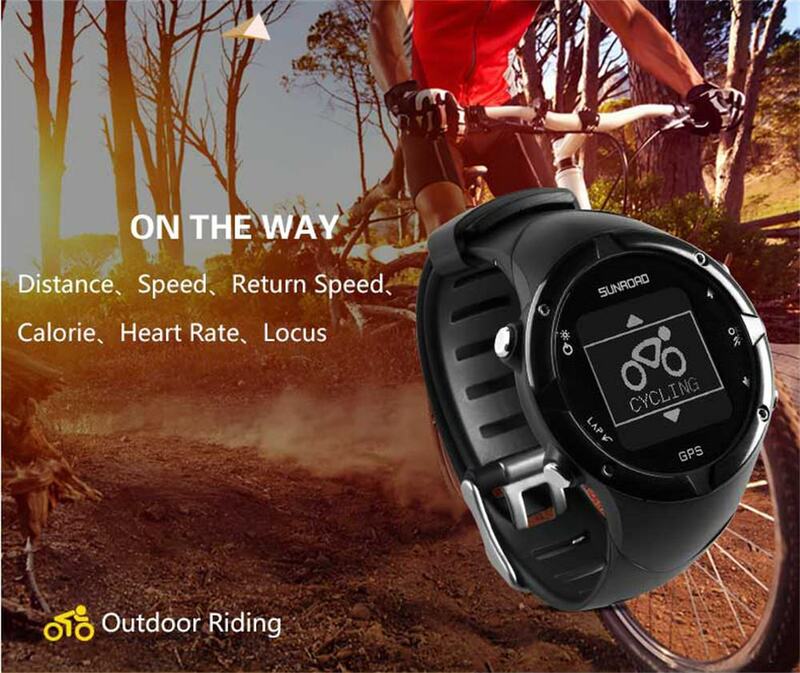 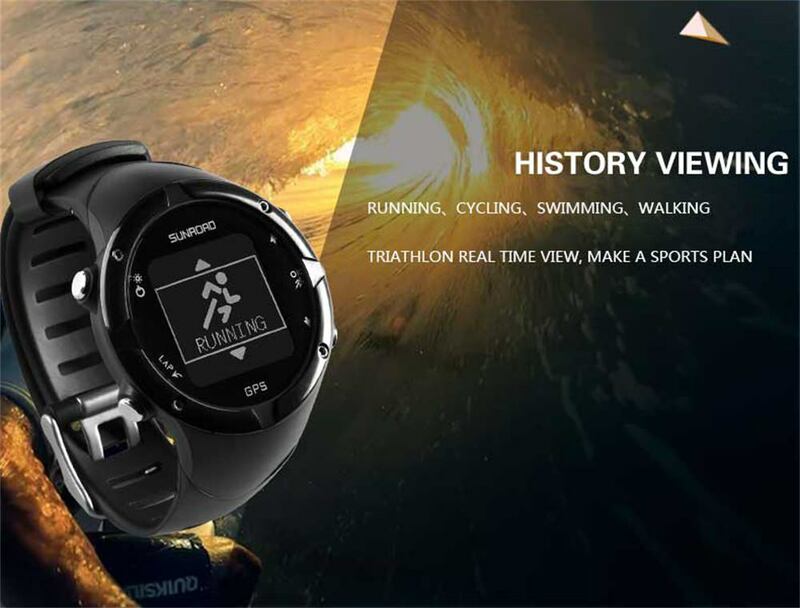 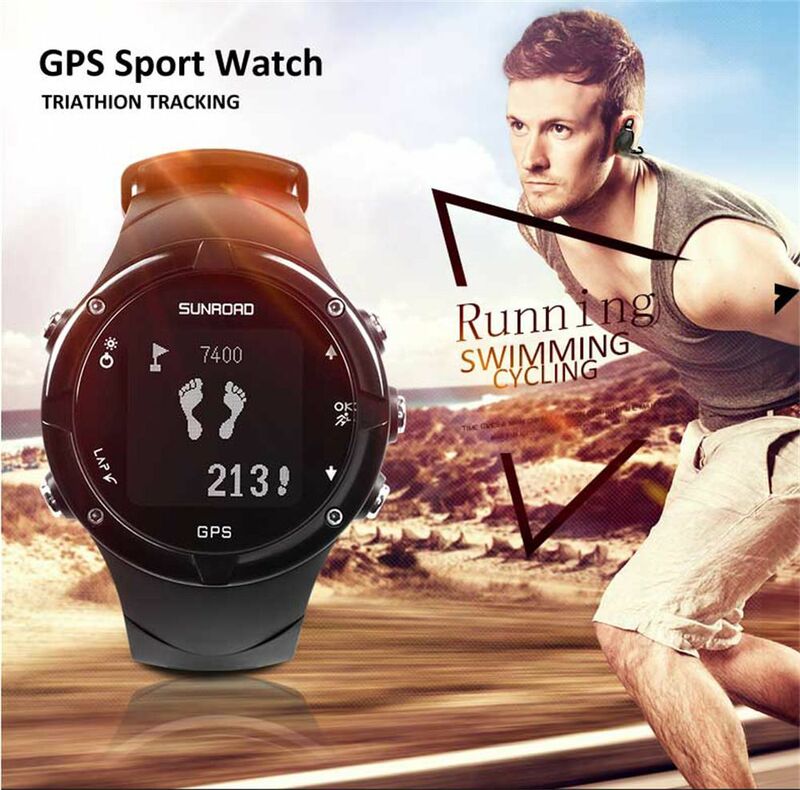 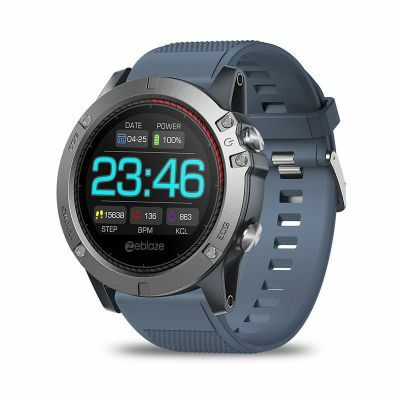 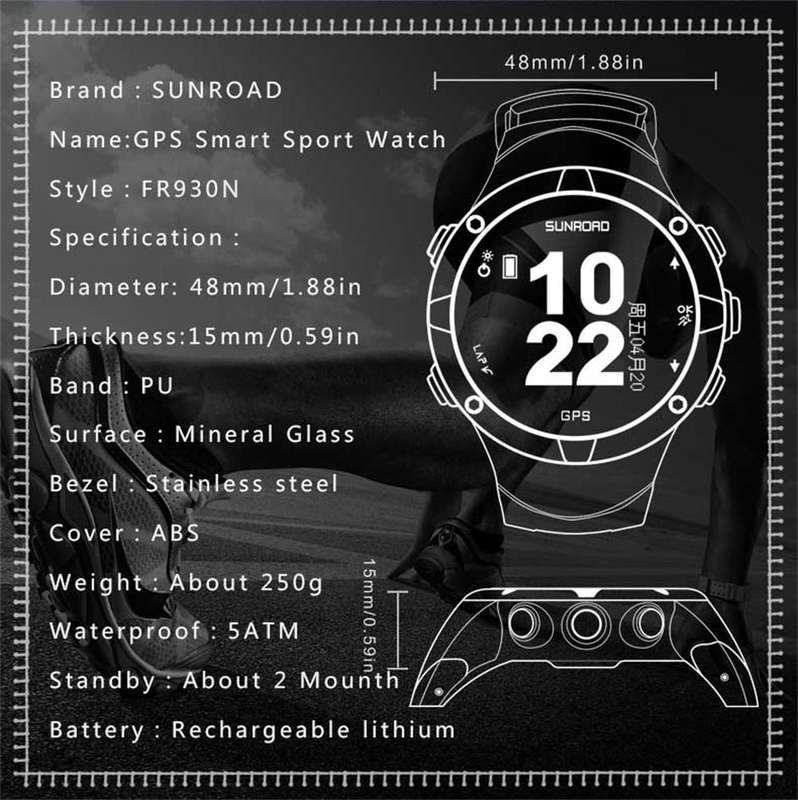 GPS heart rate triathlon sports watch, Sunroad FR930N is designed special for triathlon sports man for swimming, cycling, running, joggling. 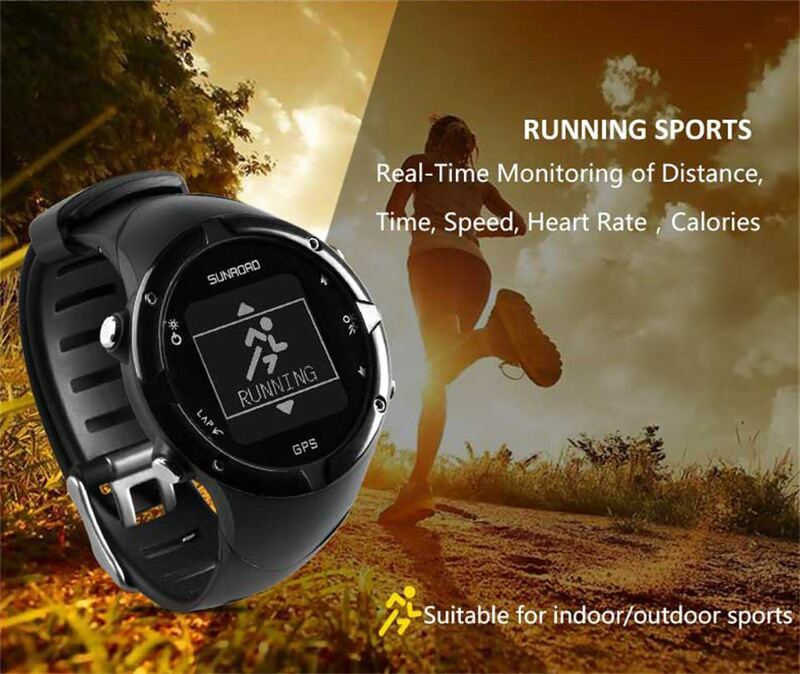 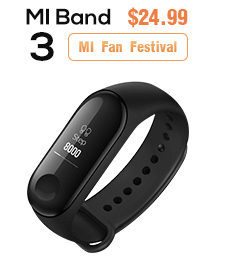 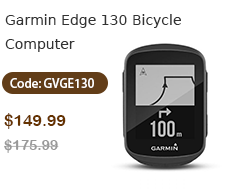 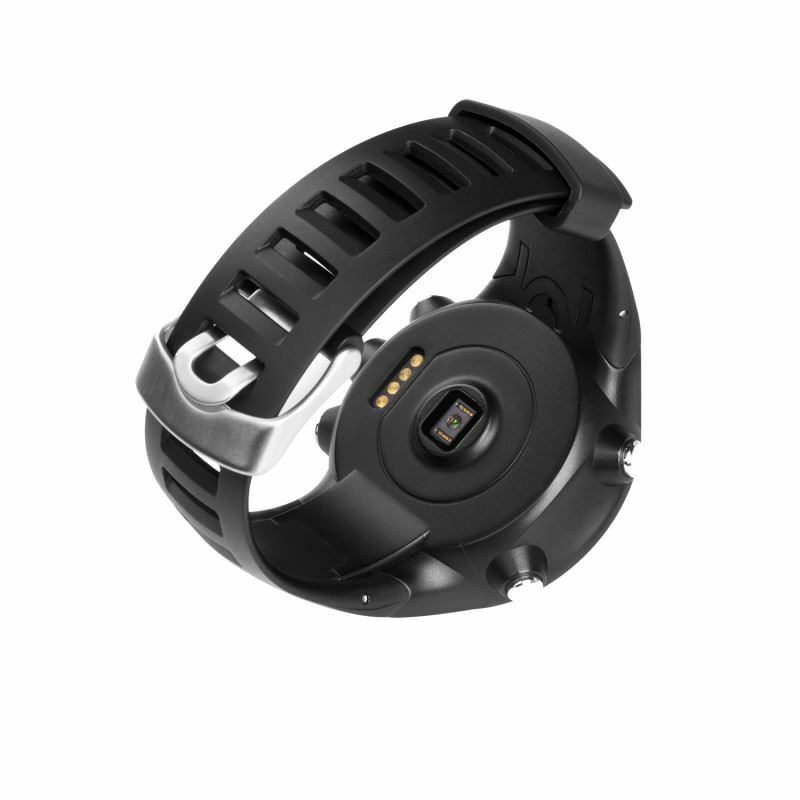 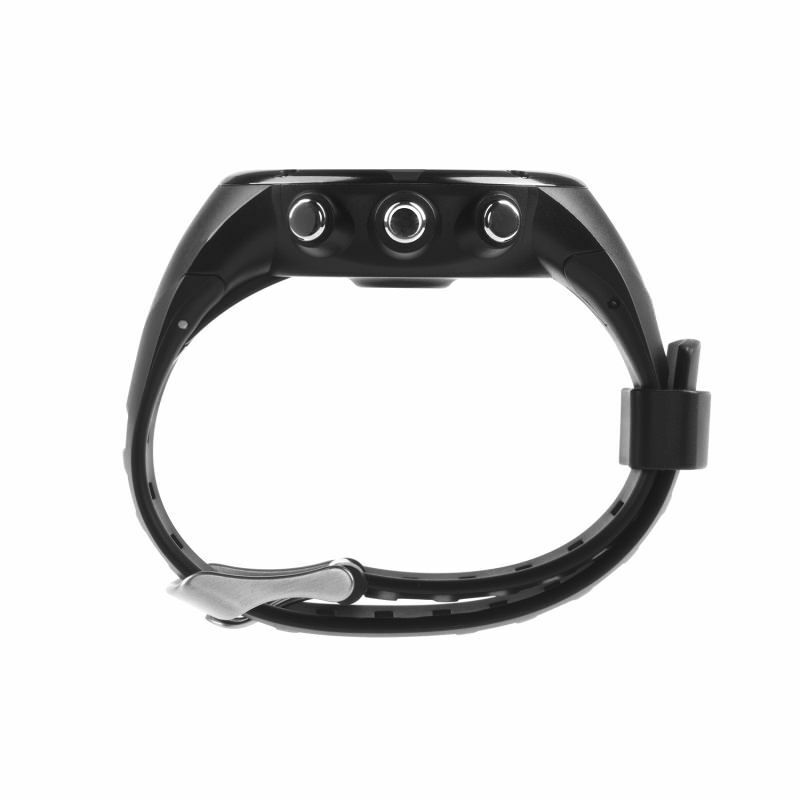 It can tracking heart rate, steps, distance, speed, training plan, GPS location, compass etc. 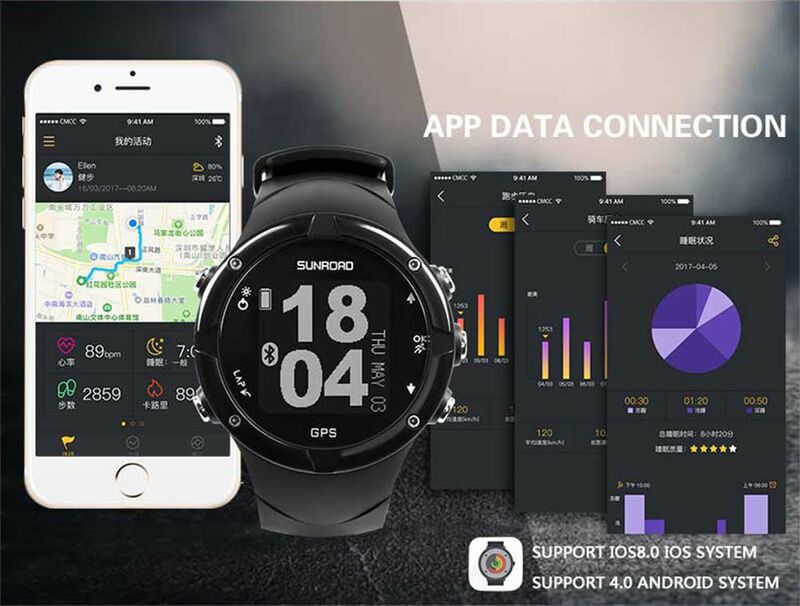 The data can connect with cellphone through apps. 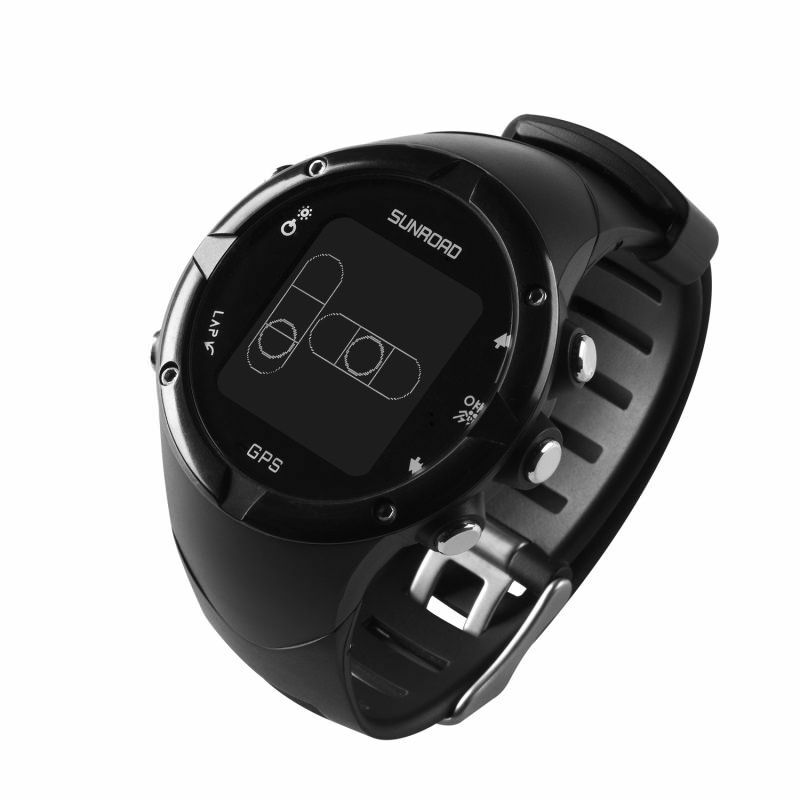 It also features with 5ATM waterproof and long standby time. 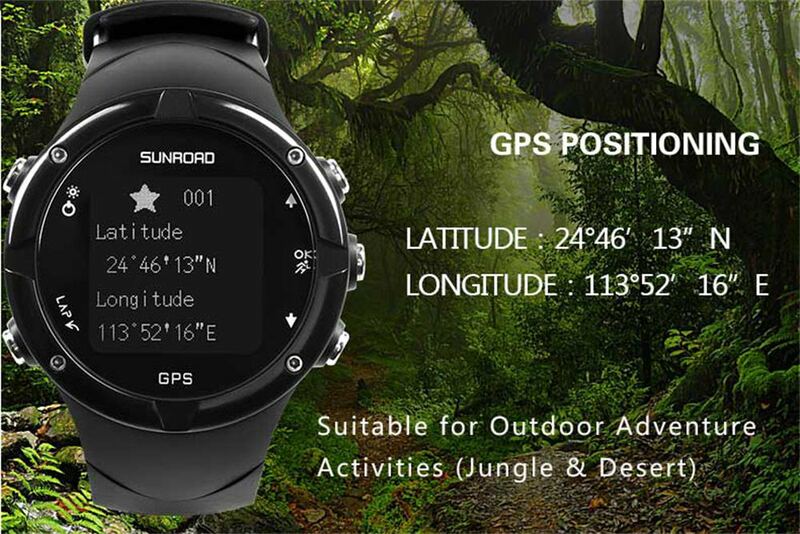 Built-in GPS to acquire satellites quickly to track how far, how fast and where you run, even under tree cover. 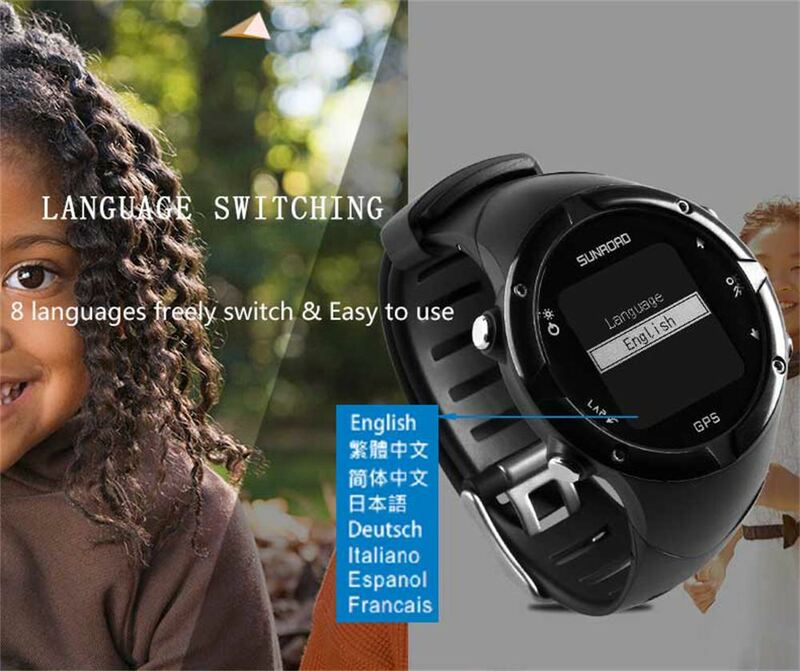 Multiple languages available, including English, Japanese, Chinese, Traditional Chinese, Deutsch, Italiano, Espanol and Francais. 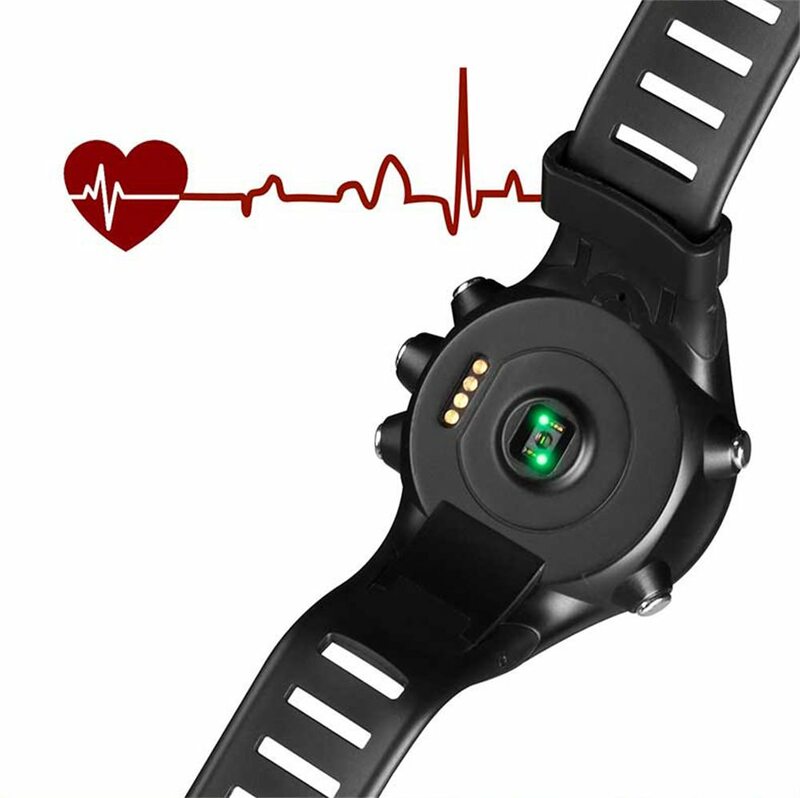 Warmly gives you heart rate all day and night. 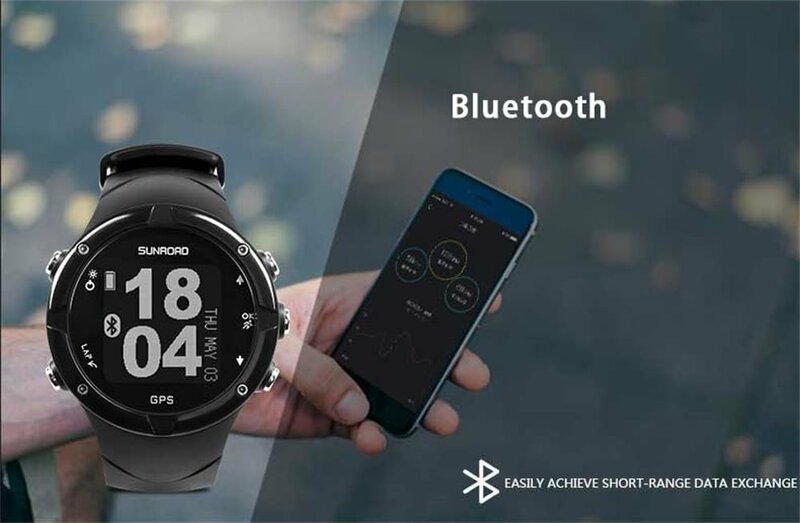 Helpful vibration alerts notify you of running prompts, activity tracking milestones, smart notifications and virtual pacing progress. 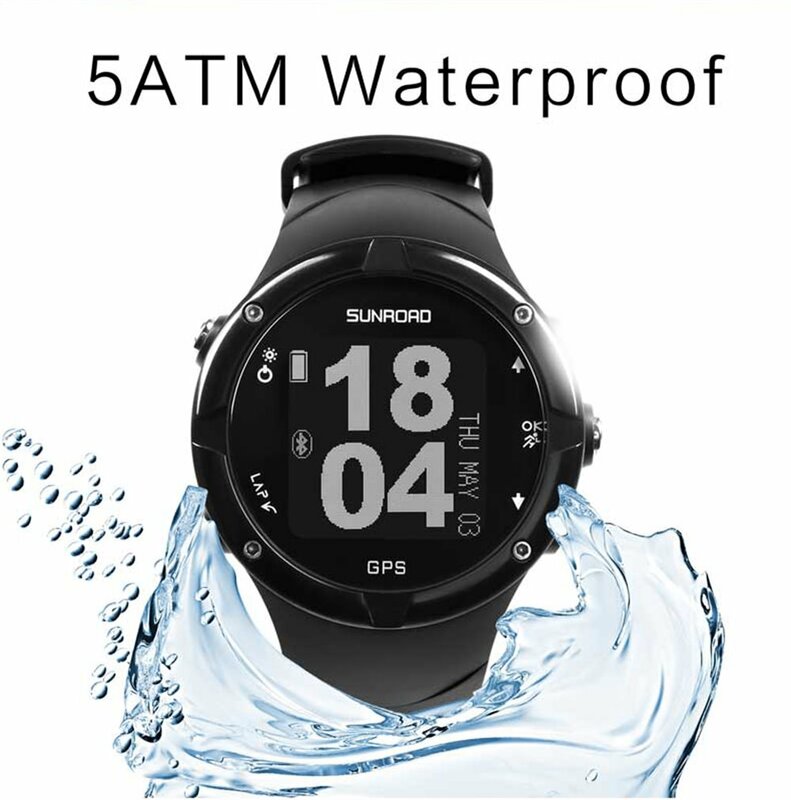 Water rating : 5ATM (50 meters). 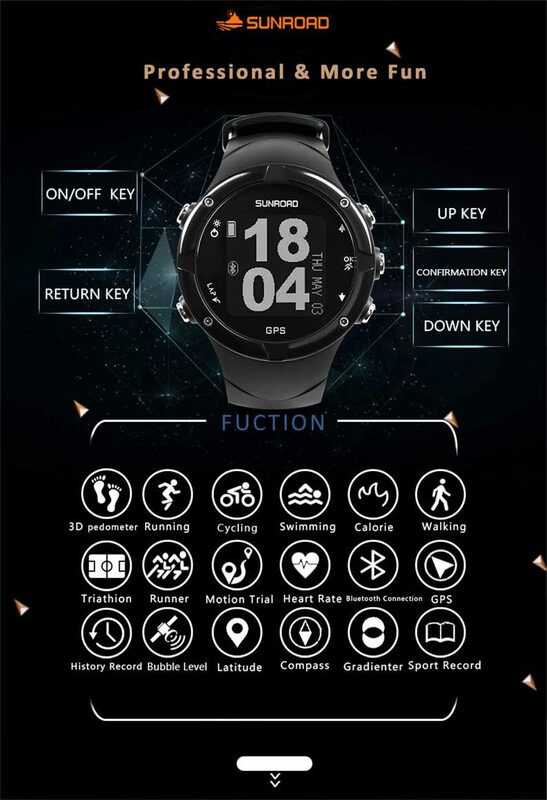 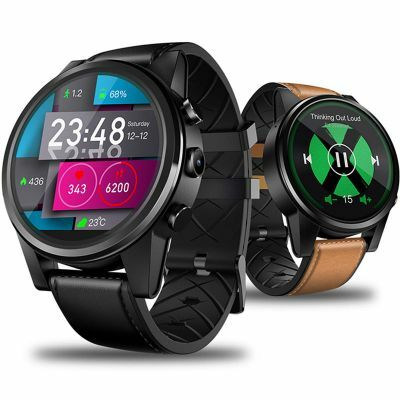 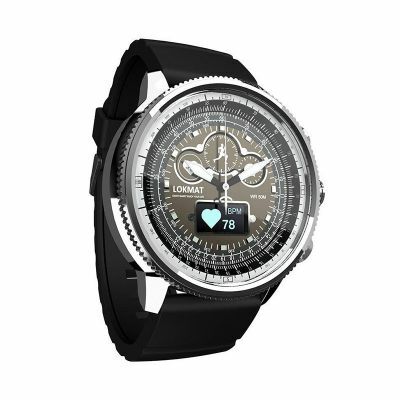 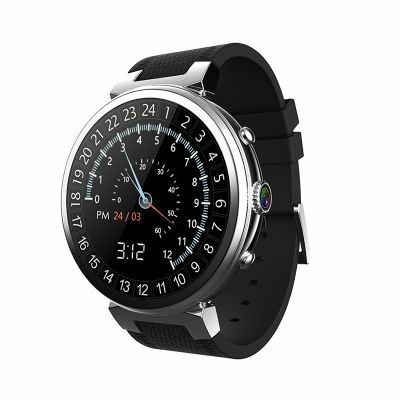 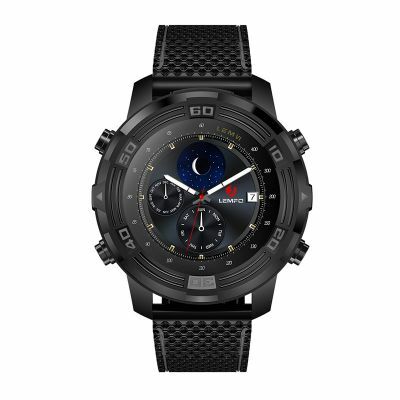 This is a smart watch adopts bluetooth 4.0 technology to connect your phone. 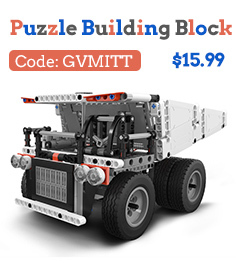 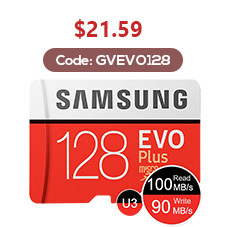 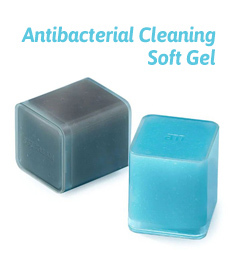 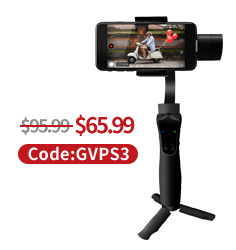 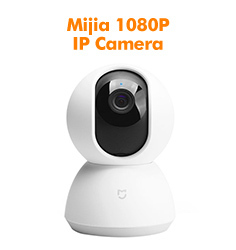 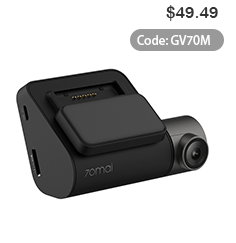 And it is fully compatible with many Android phones and Apple IOS phones on the market. 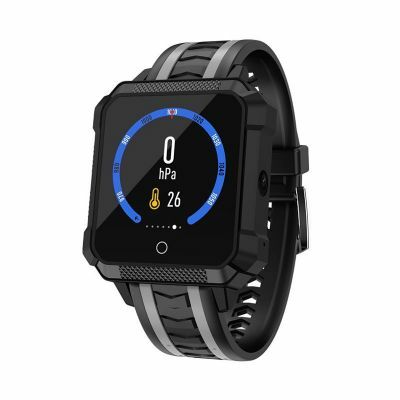 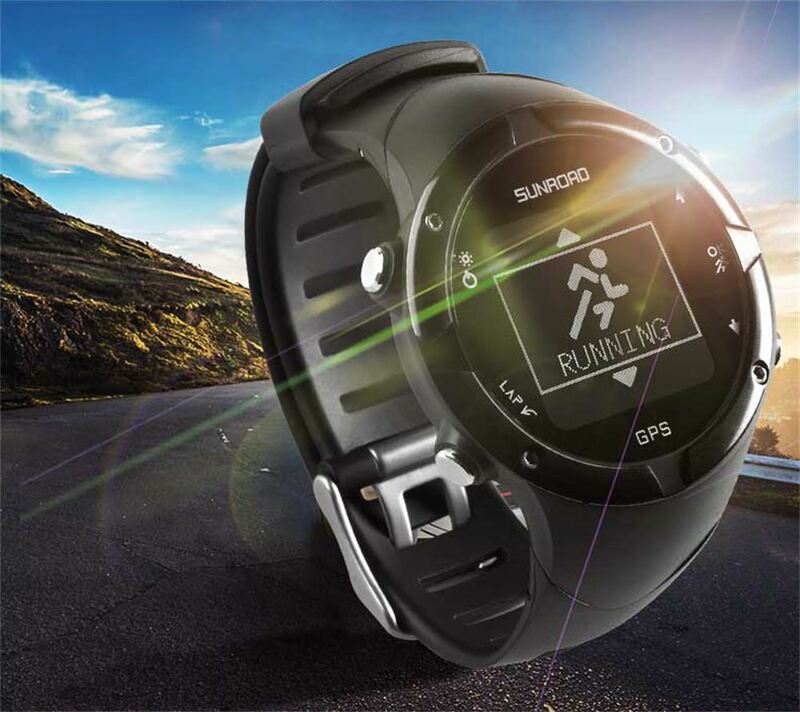 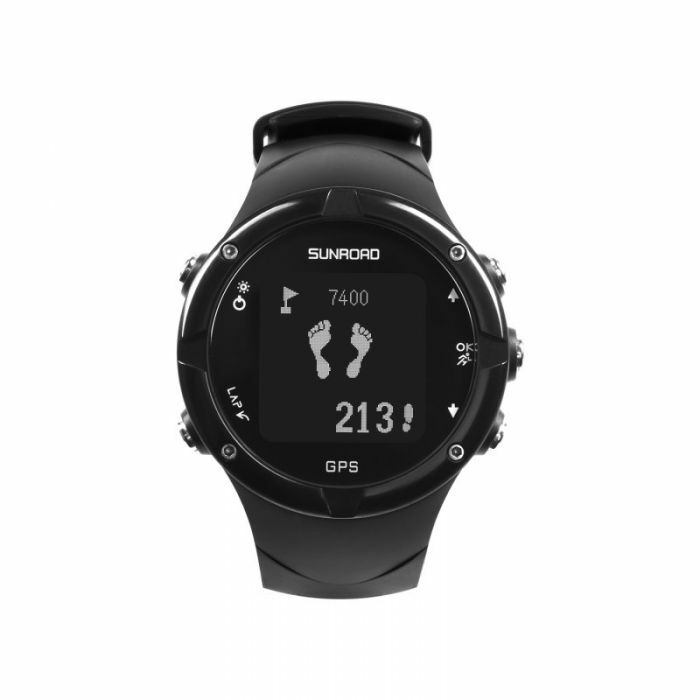 Including GPS-enabled running, biking, sleeping and golfing plus swimming and activity tracking, let you view your stats even when away from your phone. 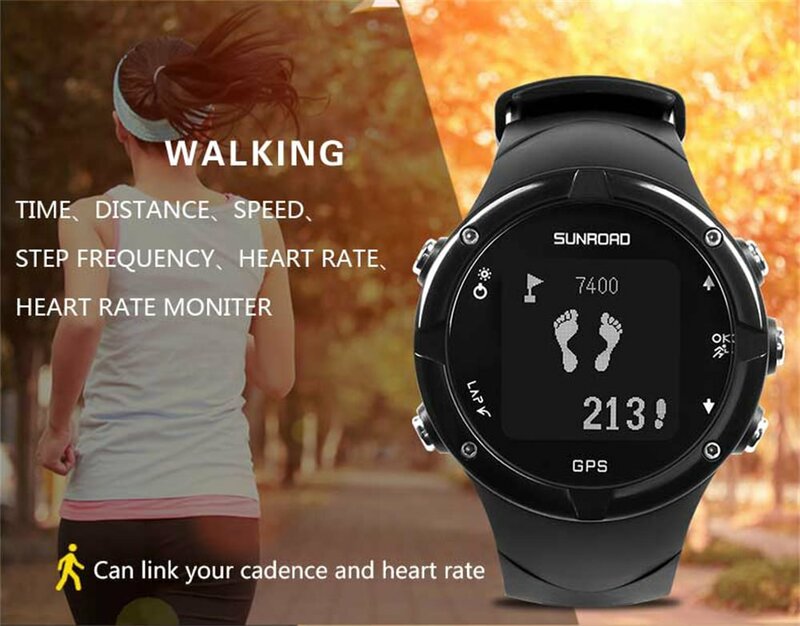 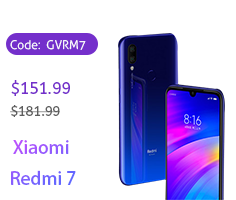 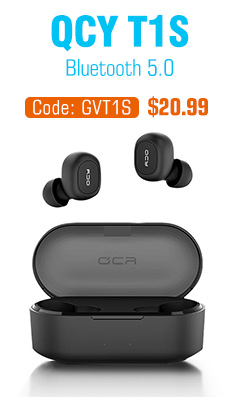 Stainless steel surface, precision laminating process, material watch strap, anti-sweat matte finishing, ergonomic convex design and soft strap which make wearing more comfortable. 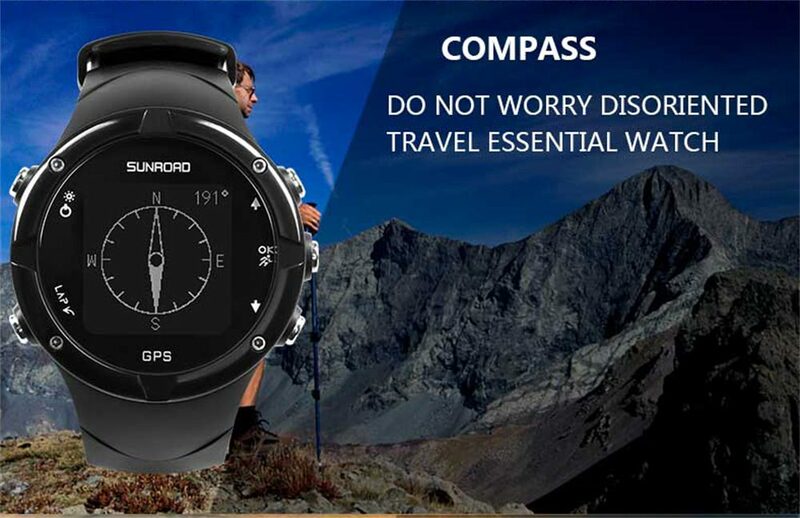 But please be notified that too much water contact or usage in extreme Hot or Cold temperature will shorter watch life. 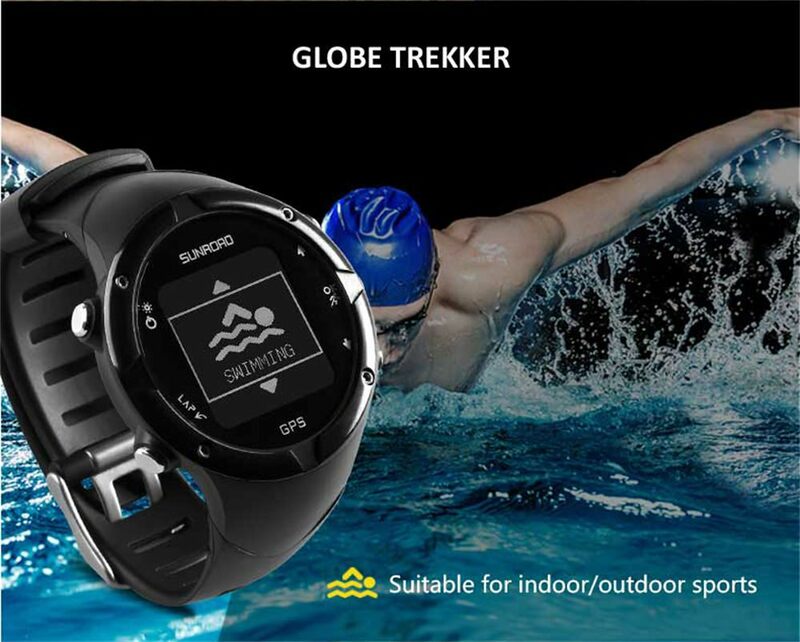 Better take a bath or swim at standard atmosphere and the water temperature between 5 and 37.5 degrees.